"Corridor of Doom starring Boris Karloff"
Each Inner Sanctum opening episode with a creaking door and campy tongue in cheek humor with your host Raymond Edward Johnson. 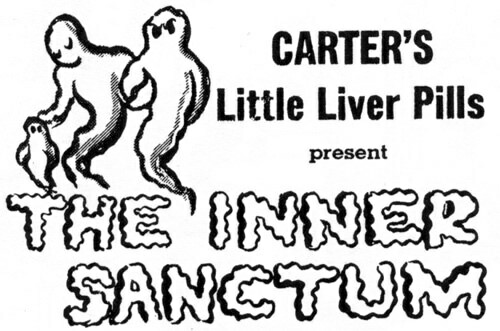 Inner Sanctum is one of the best horror and mystery shows in the history of old time radio. Cheery Lipton Tea Spokesperson Mary Bennet and Lew White's organ join the Inner Sanctum to make the show more fun a memorable. 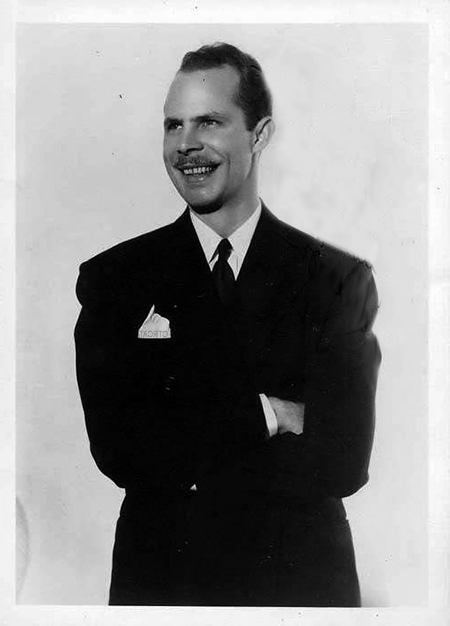 Your host Raymond was replaced by Paul McGrath in the 1945 season. Boris Karloff was a frequent performer on the show. Death for Sale features Boris Karloff with a clever insurance scheme is delayed by a blackmailer and his wife. The Girl of the Gallows - With Wendy Barrie and written by Milton Lewis, a mysterious woman who can't be killed foretells the future a hanging death. The Man Who Couldn't Die - A man retrieves an immortality formula from a brilliant scientist, but things don't work out as planned. Til Death Do Us Part - Newlyweds witness a murder and are chased by the murderer. Corridor of Doom - A dying man finds himself walking down an endless corridor that ends with a suspicious door. Pour a cup of Lipton Tea and join your Host Raymond for stories that thrill and chill. "Pleasant Dreeeeeams, hmm?"